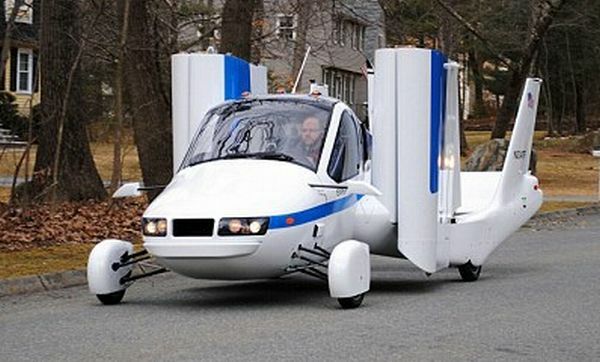 Massachusetts-based Terrafugia aims to provide true door-to-door transportation with a flying car within the next decade. The firm’s concept vehicle TF-X is a solution to the ever-growing traffic, which is a pain for people who commute between work and home by car daily. 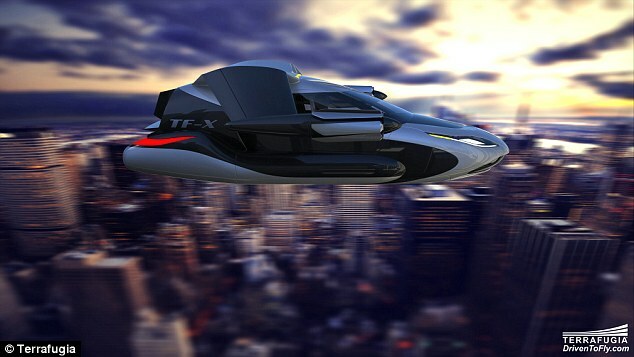 Prototype of TF-X is expected to be flying by 2018 while the car might hit the stores within the next eight years. The price will be on par with high-end luxury cars might be somewhere around $279,000. 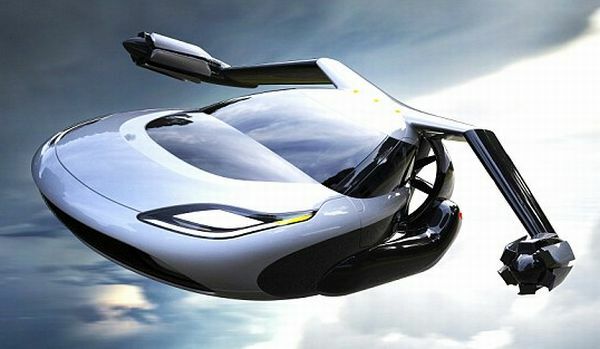 The four-seater hybrid with wings that require no runway: TF-X will park in garage, runs some distance and then thrusts into air. And for the entire process, the machine requires no runway. 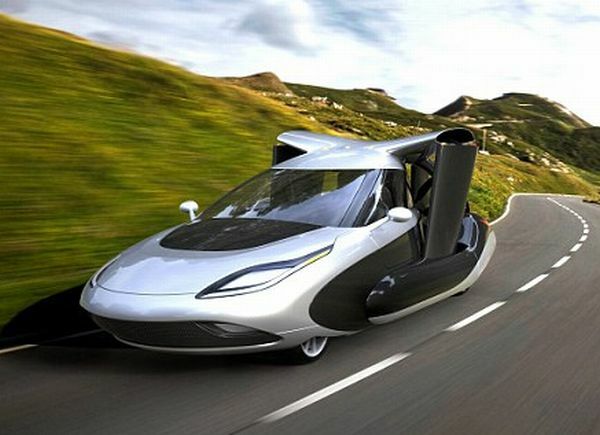 Speed: The vehicle will glide with a speed of 322 km/h, along 805 km flight range. Twin electric motor pods: For flying purposes, it’ll have fold-out wings with a pair of electric motors attached to each end. Electric motor teamed up with 300 hp engine: With a 300 hp engine, the attached twin motors will shift the car from a vertical to a horizontal position. 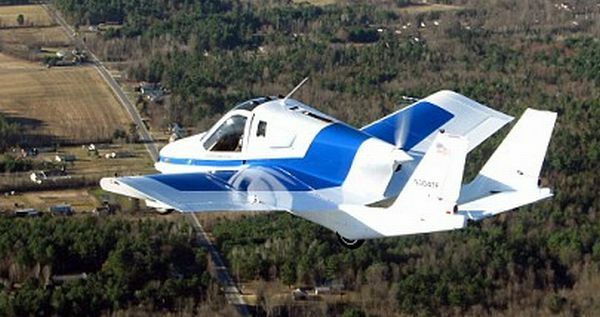 Computer controlled flight: Semi-autonomous TF-X will be operated through computer controls. After all, operating would be much safer than driving a flying car. Just tell it where to go: The TF-X will adjust itself to tower-controlled airspace thus avoiding air traffic and bad weather. Full-vehicle parachute system: In case of emergency while in air or if there occurs fault while auto landing, the operator can activate full-vehicle parachute system embedded in the TF-X. Non-approved landing zones: In emergency, the vehicle can be brought to land in non-approved landing zones while parallelly the system autonomously notifies the authorities about the situation. Automatic emergency system: If the machine receives no response from operator’s side, it’ll implement an automatic emergency mode and auto-land at the nearest airport. Operational training: Learning to operate the flying machine won’t be a difficult task. The time would be relatively less than learning to fly a traditional aircraft. 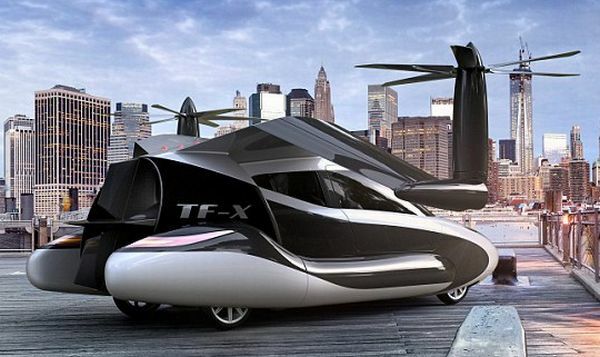 Please find the animation below, where Terrafugia shows how the TF-X would work. A megawatt of power for lifting: Just before taking off, the machine switches its electric-powered propellers to 90 degrees. Propellers fold for cruise: While for forward flight, the propellers take horizontal position parallel to the car’s body. Ducted fan provides thrust: With the activation of ducted fan, the spinning of propellers ceases and folds back into the nacelles.